On Sale Now! Free Shipping Included! 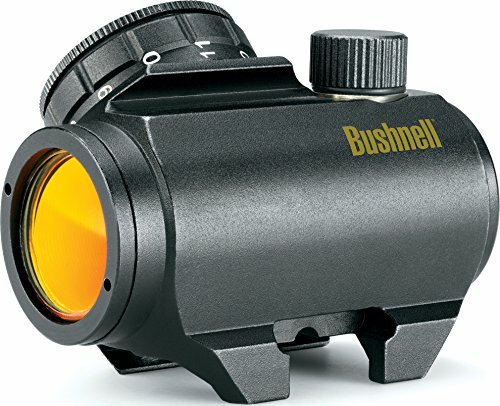 Save 7% on the Bushnell Trophy TRS-25 Red Dot Sight Riflescope, 1x25mm, Black by Bushnell at Vet Center Store. SKU: BN-731303. MPN: 731303. Hurry! Limited time offer. Offer valid only while supplies last. Caution: An illumination setting that is too high for ambient light conditions will result in a dot that appears distorted and non-concentric. Please refer to the user manual attached below for troubleshooting steps and instructions.